Beautiful flowers. Expressive designs. Outstanding customer service. Our team at Picket Fence Floral & Design proudly serves the Holland area, the place where we not only work but also call home. We love the white sandy beaches of our lake shore and the quaint 8th Street district, with its downtown shopping and award winning dinning experiences. Holland is rich with Dutch heritage, breathtaking beauty and world famous festivals; its no surprise that we are proud to call Holland Home. We get much of our inspiration from the back drop of our lake shore and Holland community; from the magnificent sunsets displayed over Lake Michigan to the colors and energy of our downtown area festivals and events. Our team is privileged to soak up all this natural inspiration and then bestow this beauty into beautiful floral arrangements and event designs. We want your experience with us to be pleasant and satisfying that is why our team is committed to offering friendly service that is prompt and efficient. We care deeply about our customers satisfaction and work hard to make sure your wedding, event or special arrangement is just perfect. Our shop is open from 9:00 a.m. to 5:00 p.m., Monday through Friday and from 9:00 a.m. to 12:00 Noon on Saturday. At Picket Fence Floral and Design we know that flowers set the stage for you entire Wedding Day. Our talented team can create stunning bouquets, boutonnieres, church and reception flowers that reflect your personality and style. Schedule a free consultation with one of our team members. 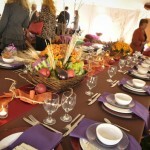 We would consider is a privilege to be part of your special day. When you are planning a corporate event, Picket Fence Flowers and Design should be your first stop when looking to make an impact. We work with your planning team to develop the perfect event taking into account concepts, budgets, venue, target market and goals. Our team works within the parameters of your brand while developing floral arrangements that enhance and strengthen your message. 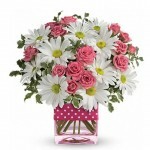 Look no further than Picket Fence Floral & Design for birthdays, anniversaries, thank you, new baby, Mothers Day or Any Day! Liven up any occasion with a beautiful arrangement, lasting plant or romantic roses. 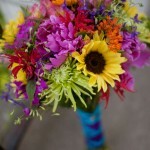 Everyone loves flowers and we offer flower delivery to Holland, MI or nationwide. Let us create a beautiful display of funeral flowers and greenery that will express your sympathy for the departed. When you order funeral flowers over the phone or online, a skilled and compassionate Designer works directly with the funeral home to ensure that your delivery is timely and accurate.